1)mop head can be washed and use repeatedly. 1.material of mop head:cotton,microfiber or polyester. 2.telescopic stainless steel or aluminium pole with 360 direction swivel neck. 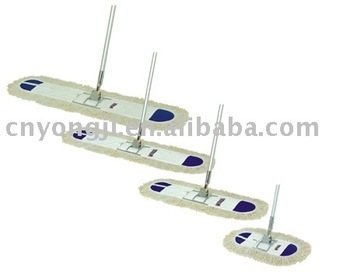 3.size: commercial dust mop:width:3``or 5``,length:18``-72``. 4.mop head can be washed and use repeatedly. 5.mop head can be replaced. Your design or suggestion is also welcome ,and please visit our web site to know more about our products.